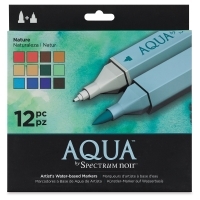 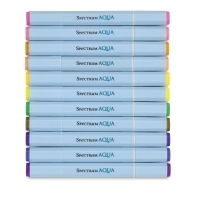 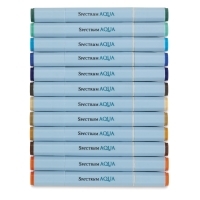 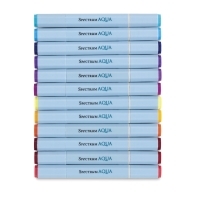 Spectrum Aqua Markers combine the performance of a waterbased medium with the convenience and value of a dual-tipped marker. 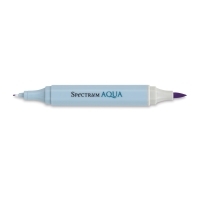 High-quality dyes assure flawless, even coverage, with all the definition and vibrancy to deliver outstanding results. 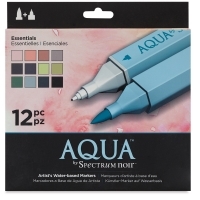 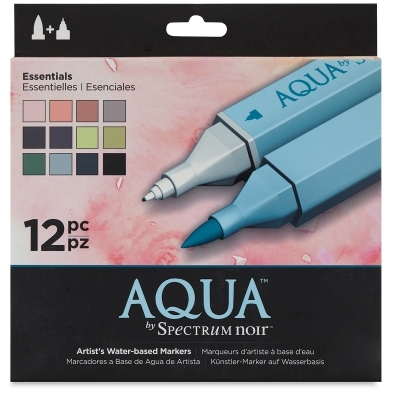 Ideal for sketching, illustration, manga, comic art, and papercrafts, Spectrum Aqua Markers have both a fine tip for definition and accurate line work, and a brush tip for flexible control. 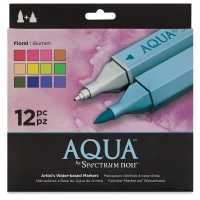 Diffuse with water and seamlessly blend colors to add depth and realism to your work. 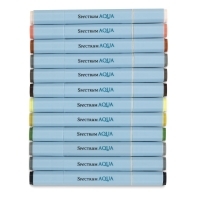 Set Contents — Please refer to the Item Specs tab of this page for a complete listing of set contents. 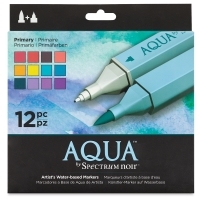 ™ Spectrum Aqua is a trademark.